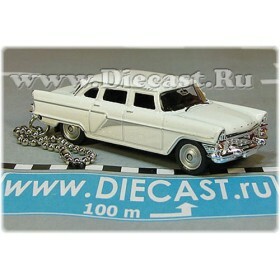 This brilliant, highly detailed 1/43 scale unusual model of the Soviet limousine is a must have for any models collector. 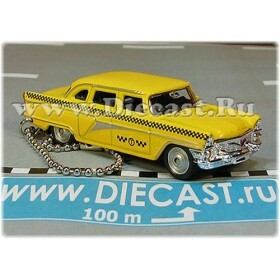 Such vehicles were used by Soviet Union government. 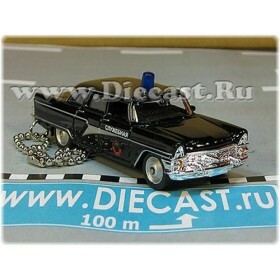 It;s not a common line production Lincoln or Cadillac, those GAZ 13 vehicles were the real top quality handmade products. Each detail in such vehicle was tested before and after assembly. All of those vehicles are still running through the roads of the world, but now everybody can buy them (well, if you have a spare $100 000) and in the Soviet Union times only the government leaders had a chance to take a ride in this limo! Out of production now! Get it while you can! The supplies are almost sold out!